Looking for a relaxing getaway? Book your stay today at the Comfort Suites Schaumburg and experience a whole new side to Schaumburg, IL. Our upscale Schaumburg hotel with an indoor pool offers guests a host of additional luxurious amenities, like comfortable bed linens and free Wi-Fi, ensuring each guest has the best hotel experience in Schaumburg. 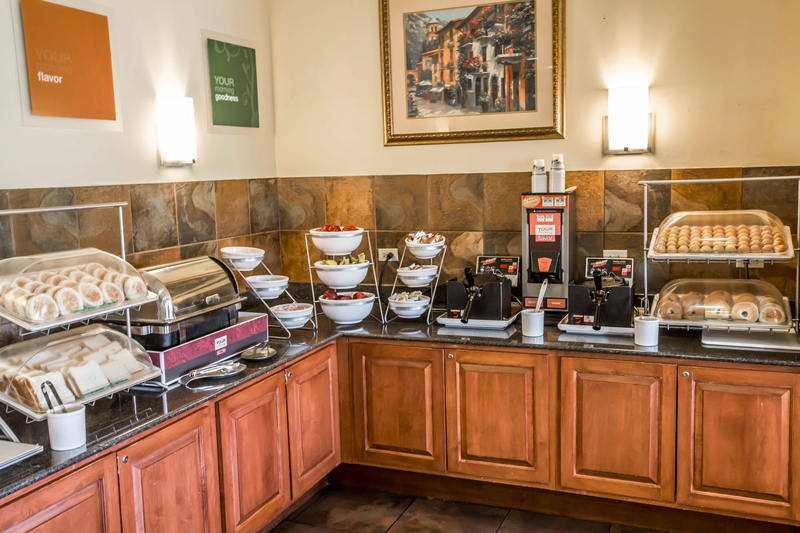 After a wonderful night’s rest in your comfortable hotel suite, kick-start your day with a complimentary breakfast featuring some of your favorite breakfast items! In town for work? Stay productive using our on-site business center and meeting room, and get your workout in using our fitness center or nearby walking & bike trails. From the thoughtful touches to the personalized service, our Schaumburg hotel with an indoor pool, free breakfast, and more has it all. Learn more about some of our fabulous amenities below, and book your stay with us today! 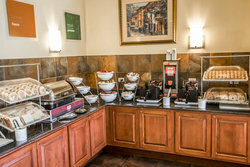 Start your day on the right foot with our Schaumburg hotel’s free breakfast buffet! Featuring classic breakfast items like sausages, eggs and pastries in addition to our bake your own waffle station! Guests can enjoy a hot cup of coffee or green tea with their breakfast. Visiting Schaumburg for work? 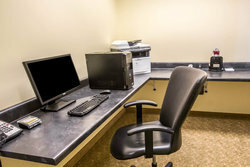 Our 24-hour business centre is equipped with a computer and printer to meet all of your business needs. Connect to our free high-speed Wi-Fi or access our free local calling with ease. Looking to host a professional event? Our meeting space is perfect for your next conference or meeting. Don’t let your travel plans impact your fitness routine! 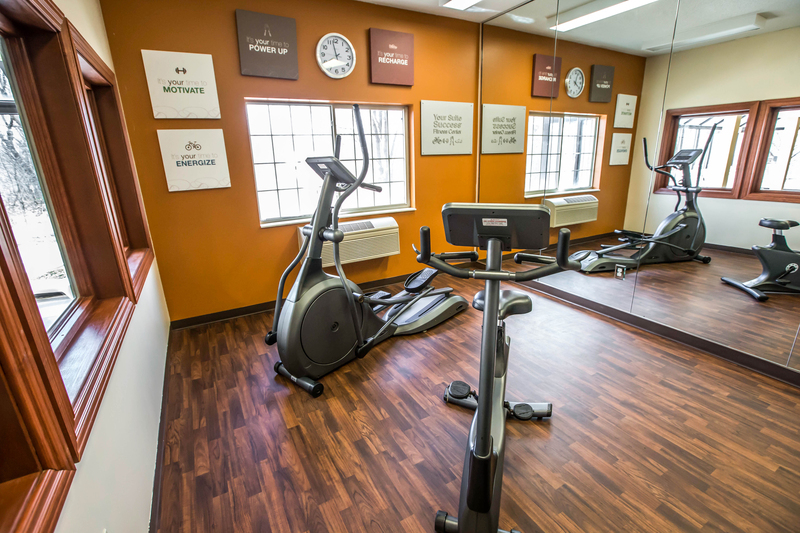 Our fully equipped fitness center is open 24/7 so you always have an opportunity to get some exercise in during your stay at the Comfort Suites Schaumburg. Guests of the hotel also have complimentray access to the Lifetime Fitness Center located right beside the Comfort Suites Schaumburg. 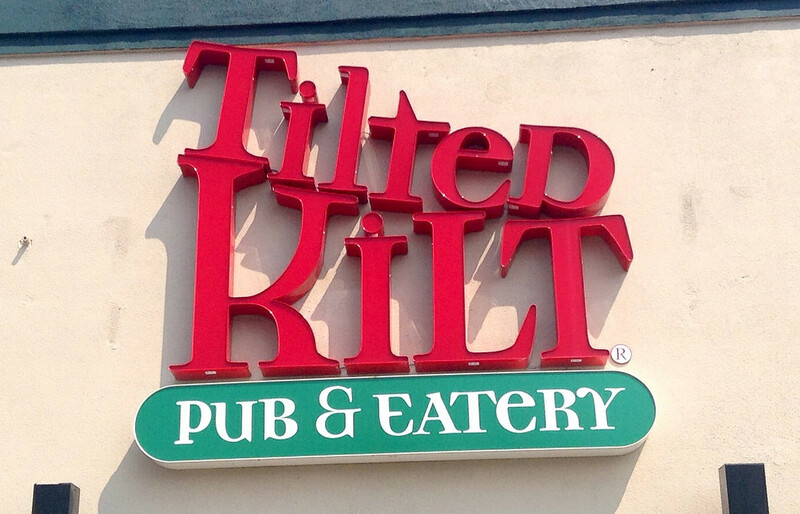 Enjoy a night out at the Tilted Kilt, located just across the parking lot from Comfort Suites Schaumburg! This U.K style pub and eatery serves traditional pub food and drink and features live entertainment. 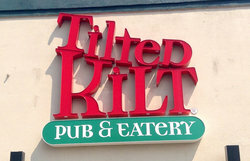 Enjoy 10% off your next trip to the Tilted Kilt as a guest of the Comfort Suites Schaumburg. Enjoy the beautiful scenery of Schaumburg, IL! 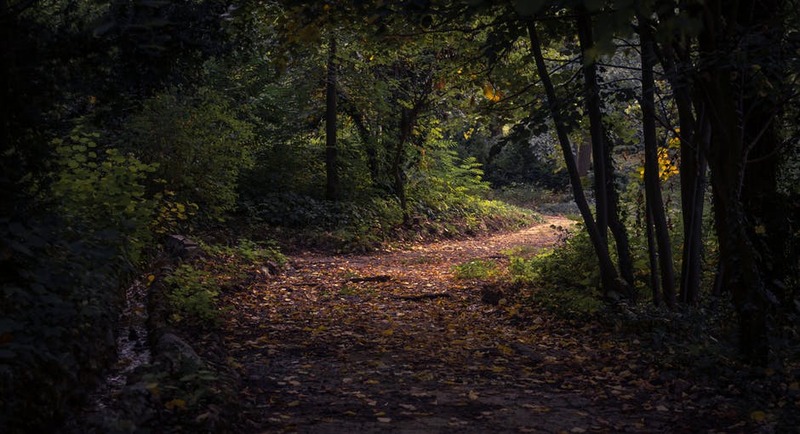 Our hotel is located beside scenic walking trails allowing our guests to explore the gorgeous natural wonder of Schaumburg. Ask our friendly concierge for some tips on where to find the best trails. Take a dip in our heated swimming pool, or relax in our state of the art whirlpool. 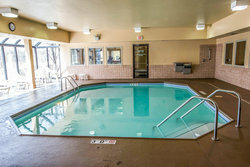 Open from 8 AM to 9 PM, a visit to our Comfort Suites Schaumburg hotel with an indoor pool isn’t complete without a swim!